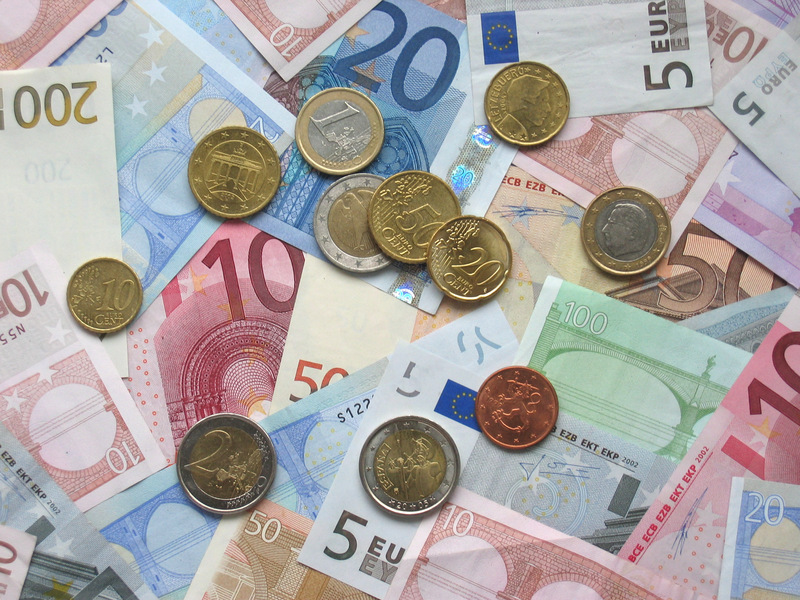 Since its introduction in 1999, the Euro has represented a symbol of unity and fragmentation. Conceived as a means to maintain peace while fostering political and economic unity, the European common currency constituted a major cause of disagreement among the EU member states since the very first phase of its design and conceptualization. Thus, the Euro emerged after gruelling and long-lasting negotiations on its value and rationale, which have unveiled severe cleavages among the EU countries in terms of political visions and strategic thinking. Particularly, it resulted and was informed by the geopolitical and diplomatic fight between France and Germany for the leadership, not to say the hegemonic role, in the process of creation and strengthening of the European Union. The dream of a common currency that could unite all European people has recurred over the centuries. Notwithstanding this, it has been brought to life only recently, thanks to the Maastricht Treaty. The complexity of the project dwelt in the deep-rooted reluctance of some countries towards the introduction of a European common currency, considered as an attempt to erode their national sovereignty. However, a series of historical circumstances made the monetary union essential for strengthening the European integration and maintaining peace in the region. Security was a major concern in the aftermaths of WWII; all great powers were determined to prevent a global conflict be repeated and the only way to achieve this objective seemed to hinge on strengthening the linkage among all European countries. Thus, the ancient dream of a united Europe reflourished from the ashes of the atrocities of WWII. In particular, two visions emerged on how to foster unity among the European neighbours: federalists preached the establishment of a European political federation whereas functionalists believed that regional peace depended on stronger integration and cooperation among European countries in common strategic economic sectors (Carls e Naughton 2002). The Federal vision was obviously too ambitious in the postwar Europe, where a countries were trying to recover from the conflict while rebuilding mutual trust and restablishing interstate relationships. The time was not ripe yet for European countries to renounce completely to their national sovereignty and be bound together for life. Thus, functionalism seemed to be the only path towards the achievement of a European integration. Particularly, the idea was raised that stronger economic cooperation among neghbours would have fostered peace. Indeed, where relevant common economic interests had been at stake, countries would have been pushed to solve controversies through diplomatic means to protect those interests, thus preventing wars (Carls e Naughton 2002). This process resulted in the creation of the European Coal and Steel Community in 1951 and, later, of the European Economic Community in 1957. No sooner had the economic integration process started, than the idea of a European common currency reflourished. Since the end of WWII, the Bretton Woods system had governed the monetary relations among countries. This international regime aimed at ensuring monetary stability worldwide through a regulated system of fixed exchange rates, indirectly disciplined by the dollar tied to gold. The way the system was designed was deeply asymmetric inasmuch as it gave the Dollar the priviledge of substituting gold in all economic transactions. Thus, Bretton Woods became synonym of a hegemonic monetary regime centered on the dollar that could have potentially harmed the European economic interests. These circumstances pushed some of the European great powers, particularly France, to start questioning the role of the Dollar as international reserve currency and to raise the idea of a European common currency (Marsh, 2011). At the same time, a major historical event was taking place in Central Europe: the restoration of a German country through the establishment of the Federal Republic of Germany. France was extremely concerned about this episode but at the same time knew that that process was unavoidable. Indeed, only few years before Germany had suffered a harsh defeat but was able to recover rapidly and challenge again the balance of power in Europe. In the early stage of the Cold War, the restoration of Germany was extremely needed. Assisting the reconstruction of a German country was considered both a measure to contain the USSR as well as a means to monitor the Germans and grant stability in the region. For instance, creating the Federal Republic would have helped German people identify with a national state, thus avoiding their alignment with USSR. In this regard, it was extremely important to prevent Germany from falling into the Soviet sphere of influence as well as gain its ideological support. In addition, although reintroducing Germany in the European system of states scared the international community, the idea of its uncontrolled renaissance represented an even greater threat since it could have potentially mined the international stability (Marsh, 2011). Thus, the reconstruction of Germany was carried out in the framework of the European integration process. By 1956, the Federal Republic of Germany had completed its recovery, holding more gold reserves than France. This further alarmed its neighbours, including France, which could not sit and look its historical rival rise from the ashes with the support of the US (Marsh, 2011). Thus, the idea of a common currency that could better integrate Europe and contain Germany regained momentum. A first step towards the common currency was taken by the European Commission, which published a memorandum on the Community’s action plan for the second stage of the Customs Union in 1962. Focusing on competition rules, the common agricultural policy and social policy, the document explicitely highlighted the needs for creating a European common currency, stating that “the emergence of a European reserve currency would considerably facilitate international monetary cooperation and a reform of the present system” (European Commission, 1962). However, it was not clear whether the monetary union would have followed the completion of the economic integration process or if it would have happened simoultaneously. This omission gave rise to a heated debate that split the supporters of the economic integration in two factions: monetarists and economists. On one side, monetarists argued that in order to strengthen the European economic integration process, the priority was to set up institutions for the fulfillment of the monetary union. Coordination of economic policies at European level would have followed, as a result of a concerted action on the newborn single currency. On the other side were the economists convinced that convergence of economic policies was vital and represented a conditio sine qua non for setting up the European monetary union. A single currency would have come only at the end of the process of harmonization (Anescu, 2012). These divergent views on the path towards economic and monetary integration would have recurred over the decades and would have represented a major bone of contention between France and Germany. The first concrete actions toward the creation of a common currency were taken when the Bretton Woods system started to vacillate in the late 60s. Trust in the capacity of the US to maintain the parity between the Dollar and gold had deteriorated progressively and the international community began to ask for its devaluation. General De Gaulle was a major supporter of the fight against the hegemonic role of the Dollar both for economic and geopolitical reasons. Indeed, not only did Paris want to contrast the economic power of the US but it also aimed at decreasing Washington’s political influence on Europe. Specifically,France argued that the US was financing its debt through its own currency. Therefore, in case the Dollar was devaluated countries owning reserves in dollars would have paid the price of such a policy (Aron, 1979). To weaken the Dollar, French President De Gaulle launched a number of financial speculations and in June 1965 its Minister of Finance Girscard d’Estaing proposed the creation of a common reserve currency linked to gold and composed by the currencies of the main industrialized countries. Even though other European countries shared France’s vision, they refrained from lining up against the US. This was the case of Germany: although a big proportion of the Federal Republic’s reserves was in Dollar, Bonn did not backed France and reiterated its support to the US. This episode represented the first direct confrontation between France and Germany in the aftermath of WWII. In such a context, developing a common currency was becoming a major priority. The Hague Summit, held in1969, represented a turning point in the advancement of the European integration and the concretization of the monetary union (Marsh, 2011). The summit was convened on the initiative of French President Pompidou, who succeeded to General De Gaulle in the same year. The new President took the distance from the obstructionism of his predecessor towards the European integration process, inaugurating a new phase of the French foreign policy. A major symbol of this shift was France’s green light on the admission of the UK, Ireland, Norway and Denmark in the European project. For istance, during The Hague summit, Pompidou agreed on the first expansion of the EEC membership since the foundation of the European integration project. Also, the summit called for deeper economic and monetary cooperation, recommending the establishment of a European monetary union. In this regard, a Committee of experts led by the Belgian Prime Minister Werner was appointed to elaborate a detailed plan to set up the monetary union. Germany did not hesitate to express its reluctance towards the project of a European common currency. Specifically, Bonn argued that a monetary union could have been achieved only after political integration was completed. However, such a process was unlikely to happen in the postwar European context, where governments tended to protect their countries from all experiments that would have eroded their sovereignty. Moreover, Chancellor Brandt did understand that the monetary union hide an ill-conceiled attempt to balance the rise of the German industrial power and protect both the European and American interests. Notwithstanding its reluctance, Germany eventually surrended to the idea of a European monetary union in the 70s, when a speculative attack hit the D-mark and threatened to destabilize its economy. Chancellor Brand and President Pompidou agreed that the time was ripe for deepening the European integration. However, their positions on how to strengthen the EEC were deeply divergent. This fueled the long lasting debate between monetarists and economists within the Werner Group. In particular, economist positions were supported by the Germans and the Dutch whereas the French and the Belgians sided with the monetarists (Marsh, 2011). The majority of the European central banks lacked enthusiasm towards the Werner Plan. In particular, the UK took the distances from the report, which headed towards political integration, hiding an ill-conceiled attempt to create a European federal union. Further, Germany complained that the report did not integrate the economist perspective. These complaints deepened the divergence between Paris and Bonn: on the one hand Pompidou refused to negotiate any potential transfer of sovereignty to supranational entities and on the other hand Schiller and the Bundesbank clarified that economic and monetary coordination would have been carried out simultaneously. Once again, a series of historical events pushed France and Germany to put aside their divergence and reach an agreement on the future of the monetary union. At the time, trust in the Dollar was at its lowest level and President Nixon suspended the dollar’s convertibility into gold. Bretton Woods was on the verge of collapse but overseas this event had reinvigorated the dream of a European common currency (Marsh, 2011). In 1972, the Committee of Governors of the European central banks set up the European currency snake in the tunnel, a mechanism to narrow exchange rate fluctuation and grant monetary stability. The snake was based on an exchange rate fluctuation margin of 2.25 % and included the currencies of the UK, Ireland, Norway and Denmark. The end of Bretton Woods further advanced the integration process. In 1974, the French Minister of Finance Jean-Pierre Fourcade proposed the creation of a new unit of account based on a combination of European currencies. This was conceived as a means to hinder the rise of the German economic power as well as a mechanism to stabilize monetary relations across Europe. Indeed, the snake had started to show its weaknesses and a news mechanism of stabilization was perceived as increasingly vital for the fulfilment of economic integration. Therefore, in 1978 President D’Estaing and Chancellor Schmidt agreed on the creation of a European reserve currency. The ECU was born and apparently France and the monetarists had won the battle against Germany and the economists. No sooner had the European Monetary System been set up than France realized that the D-mark was prevailing again over the other currencies, letting Germany extend its influence on the new system. A new change of leadership in the 80s brought France and Germany to strengthen cooperation for achieving monetary union. Particularly, President Mitterand and Chancellor Kohl saw the big picture and recognized the advantages of their collaboration. On the one hand, Germany was strong from an economic point of view but weak from a military point of view, due to the conditions imposed by the Treaty of Peace. On the other hand, France was in a completely opposite situation. Mitterand considered European integration as a mechanism to exchange the French military power with the German economic power. At the same time, Chancellor Kohl started to advocate for the institution of a common currency, conceived as the completion of the process started three decades before. In doing so, he was aware that the monetary union would have implied renouncing to the D-mark, the main symbol of the German national sovereignty and identity (Marsh, 2011). as an essential step towars the monetary union. The German Minister for Forereign Affairs Genscher welcomed the proposal, stressing the importance of an independent European Central Bank. However, he forgot to reiteraite how important was for Germany to reach economic convergence before starting the completion of the monetary union (Marsh, 2011). Since until that moment Bonn had taken a hard line on that point, Paris interpreted the omission as a green light to the monetarist approach. Even though the German Minister of Finance Stoltenberg rushed to correct this defaillance, Chancellor Kohl decided to back the French plan to accelerate the European integration. In the same year, the European leaders met in Hannover to discuss the next steps towards monetary integration. The result of the summit was the creation of a Committee for the study of Economic and Monetary Union, chaired by the President of the European Commission Jacques Delors and responsible for elaborating a detailed plan for achieving the European monetary integration. Published in 1989, the report included a series of guidelines and recommendations on the establishment of a monetary union through a three-stage process. As for the Werner Plan, the report fuelled the debate among monetarists and economists, unveiling some major divergences among the Member States on the design and implementation of the monetary union. Particularly, Germany opposed to reserve-pooling mechanisms, supported by France and Belgium. In addition, Bonn urged the creation of an independent European Central Bank whereas France took a hard line on creating a political institution that could monitor its functioning (Marsh, 2011). Even thought these disagreements delayed the negotiations, they did not prevent advancement of the European economic integration process. Indeed, in July 1990 the first stage of the monetary union began with the gradual abolition of exchange controls. In a context where the long lasting debate between monetarists and economists still lingered, this sudden acceleration was the result of a major historical event occurred at the borders of Europe: the disintegration of the Soviet Union. While the Communist regime was bound to decline, Mitterand was aware that preventing the German reunification was unlikely and unrealistic. Instead, providing support to the process would have grant the reunification happen in a pacific and democratic way. As it occurred for the establishment of the Federal Republic in 1949, France conceived the EU as a primary means to guide the reunification process and contain Germany. On the other side, Chancellor Kohl knew that the success of this process hinged on the support of its European neighbours, including France (Marsh, 2011). In light of that, Germany exchanged its commitment to the European monetary integration against the support to the German reunification process. The signing of the Treaty of Maastricht in 1992 ultimately paved the way for a smooth monetary integration process. The monetary union would have been set up only when member states had fulfilled four convergence critieria: 1) inflation rate of no more than 1.5 percentage points above the average rate of the three EU member states with the lowest inflation over the previous year; 2) A national budget deficit at or below 3% of GDP; 3) National public debt not exceeding 60% of GDP; 4) Long-term interest rates should be no more than two percentage points above the rate in the three EU countries with the lowest inflation over the previous year; 5) Participation in ERM II for at least 2 years without severe tensions. Barely had the Maastricht Treaty entered into force that new financial turmoils hit the European markets, fostering economic instability across the continent. These circumstances widened the gap among northern and southern EU countries, inasmuch as the South proved to be unable to contrast the backsides of the crisis. At that stage, it was clear that the monetary union was an attempt to unite a group of economies that were extremely different in terms of internal productivity and resilience to external shocks. Considering that, it was easy to foresee that the monetary union would have not eliminated those differences. Despite the sciism between North and South, the European integration did not stop. In 1993, the EU member states started the negotiations on the creation of the European monetary Institute aimed at handling the transitional issues of states adopting the common currency eand prepare for the creation of the ECB. Eventually, the German vision prevailed and the EMI was designed as an independent institution (Marsh, 2011). However, France’s complaints led to the establishment of a political group, the Eurogroup, composed by the finance ministers of the Eurozone and responsible for monitoring the functioning of the EMI. In 1998, the ECB succeeded to the EMI. During the last phase of the integration, competition between Germany and France on the leadership in the monetary union process regained momentum. However, once more, the German views prevailed: the former President of the Dutch central bank and the EMI Duisenberg was appointed as first President of the ECB, defeating the French candidate Trichet. Moreover, as for the EMI, the ECB was designed as an independent institution and its headquarters was set up in Frankfurt. Finally, in 1999 the Euro was introduced to world financial markets as an accounting currency. This event marked the beginning on the European monetary union, as we know it today. No sooner had the European monetary union been set up than its limitations emerged. Its inherent weakness was the result of almost forty years of negotiations, compromises and concessions. Although the rise of the Euro was welcomed by all member states, optimism was soon replaced by disillusion: indeed, the common currency did not reduce but widened the gap between Northern and Southern economies. Rather, its main repercussion consisted in createing new ideological cleavadges across Europe. Above and beyond this bitter admission, the European monetary union so often promised, which seeked to unite the peoples and economies of Europe, seemed to be moving further away from its goals. The outbreak of the economic crisis in 2009 forced the Eurozone countries to acknowledge the weaknesses of the monetary union. Indeed, the European sovereign debt crisis unveiled the main deficiencies of the monetary union. While it was conceived as a means to strengthen the economies of its Member States and their capacity to face severe economic downturns, the Eurozone has exacerbated the effects of the crisis. During the last years, this paradox has raised concerns on the limits of the European monetary system, stimulating the debate on the possible solutions to improve its strength and efficiency. The ineffectiveness of the monetary union face to the sovereign debt crisis erupted in 2010 was a direct conseuqence of the “design failure of the Eurozone” (De Grawe, 2013). When the project was conceived, the architects of the Eurozone were convinced that building a monetary union would have ensured stability across Europe: national booms and busts would have become Eurozone booms and busts. Optimism towards the project was at its highest level, when the monetary union failed to meet the expectations of its supporters, fostering scepticism and disillusionment (De Grawe, 2010). In fact, despite the centralization of money, national booms and busts did not become a Eurozone phenomena. This was due to the incompleteness of the monetary union. Since its creation, the Euro system was based on the introduction of a common currency and the establishment of a European Central Bank, charged with elaborating the EU monetary policy. However, all the other macroeconomic policies were kept at a national level. Nowadays, Member States continue to decide on taxation, subsides, wage, etc. creating divergent policies that stretch the bias among the European economies. During the first decade of the monetary union, this incompleteness has prevented national booms and bursts to become Eurozone phenomena. A second major limitation concerns the lack of stabilizers in the Euro system (De Grawe, 2013). Previous to the creation of the monetary union, EU countries owned a fundamental stabilizing force: the lender of last resort function of the central bank. However, this function was abolished when the Euro system was set up. Indeed, Article 123 TFUE prevented the ECB to buy government bonds. Therefore, the ECB maintained its role of lender of last resort only towards the banks and lost the power of helping the governments. These lasts could no longer guarantee that the cash would always be available to roll over the government debt. The last shortcoming of the monetary union consists in the lack of accountability of the ECB (De Grawe, 2009), which is a consequence of its strong independence. This feature has had severe repercussions on the capacity of the Eurozone to recover from the crisis over the past years. Indeed, the creation of the monetary union entailed the transfer of money printing powers from national states to the ECB. This made the Eurozone depend completely from the ECB, particularly on its will to provide liquidity. Considering that, the monetary union is inherently weak: for instance, Eurozone countries have no weapons against financial markets turmoils since they have lost the power of printing money to guarantee bondholders. The result is that national governments are weakened vis-à-vis the financial markets, which can now force the Eurozone into default. that stability in the Euro system is tightly linked with the presence of a central bank operating as a lender of last resort both for the banks and the governments. In this regard, even though the ECB has changed its approach towards government-issued bonds during the last years, the current monetary union remains a system where the ECB can lead down governments. This circumstances are urging the member states to reform the monetary union. Indeed, as long as the ECB does not explicitly commit to some floor value for public debts, the crisis will fester and deepen (Wyplosz 2011). Secondly, there is a strong need for rethinking the relationship between the ECB and its Member States. Although its structure has evolved considerably during the last years, the ECB still preserves its deep independence from the Member States. Indeed, Eurozone countries continue to depend on the goodwill of the ECB to provide liquidity (De Grawe, 2011). This is a major symptom of primacy of the ECB over governments in the Euro system. When crisis erupt, such a configuration can lead to perverse effects and become unsustainable. The intuition is easy to explain: the ECB functioning is characterized by a severe lack of democratic legitimacy (McNamara, 2012). In fact, ECB’s staff is composed by unelected officials, responsible for deciding the monetary policy of the Eurozone. Face to economic instability, states can be forced to be insolvent because of decisions taken by technocrats, who have the power to save Eurozone members but refuse to do so. These characteristics unveil that ECB’s independence cannot be absolute and should be reduced, especially in times of crisis, when governments should prevail over the ECB, in order to ensure the efficiency of the Euro system. These considerations highlight the need for deeper political integration across the Eurozone. In particular, the crisis has revealed the need for creating a Eurozone government that can cooperate with the ECB and prevail over it when needed. Concretely, this would mean moving toward a political union. Finally, Eurozone countries should deepen coordination of macroeconomic policies (De Grawe, 2013). This reform is tightly linked with the previous two. In fact, deeper coordination of cannot be achieved without creating an elected body, taking up the function of European government, cooperating with and even prevailing over the ECB. Heretofore, the Eurozone has proved to be unable to recover completely from the crisis, which has affected the area since 2010. Therein lies the paradox. When the Euro was conceived, there was a widespread consensus that the economies of the Member States would have benefit from the monetary union. In particular, this system was expected to help Member States to create economic stability while strengthening their capacity to face downturns and crisis. Also, it was expected to foster political union among member states and eventually bring to the creation of a European federation. Clearly, the opposite has occurred. The crisis had severe repercussions on the EU stability, fuelling political crisis, the rise of extremist parties, unemployment and unrests. Nowadays, the monetary union appears to be the most challenging and ambitious project of the last century. Its weaknesses are evident and need to be addressed rapidly to avoid the collapse of the Euro system. The curret governance structure cannot be sustained in the long term. At some point, deeper political integration will become essential to avoid the system be rejected. Member States that continue to overlook this are like “a foolish man who built his house on sand”. European Economic Review, vol. 46, no. 3, pp. 443 – 469. Aron, Raymond (1979), In defence of Decadent Europe, New York, University Press of America. Marsh, David (2011), The Euro: The Battle for the New Global Currency, Yale University Press.